Just when I thought I was getting over the awesomeness that was Edinburgh Yarn Festival they go and release all the photos from the weekend on their website. Some of my favourites are included below, but you can check out all the images in their gallery. Images belong to Edinburgh Yarn Festival, except where otherwise stated. It has been so nice to re-live the weekend through these great images and remember all the laughs! Good times! And while we have another year to wait for the next one we do still have all the good memories and excellent stash and the associated knittiing to keep us company til EYF 2017! I met with Mica yesterday to catch up over lunch and she very kindly gave me THREE copies of Wool Tribe – the special companion magazine – to give away. Listeners may have heard me review Wool Tribe in episode 55 – not only does it contain 6 original designs by designers such as Ysolda, Karie Westermann, Lucy Hague and Gudrun Johnston, but there are great articles and really lovely photography. To buy a copy costs £8 (plus p&p) but you can win one of three copies right here! 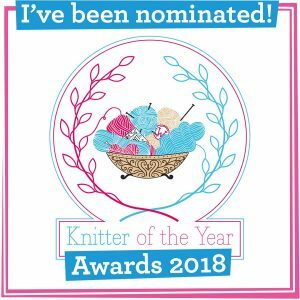 To be in with a chance of winning please leave a comment below and tell me a little bit about your own wool tribe – are you part of an online knitting group or tribe; do you go to a knit group or guild, is your wool tribe just you and a couple of other knitting chums? Maybe you took part in a KAL and feel your wool tribe is there (like that Natures Shades tribe in the top image!) Tell us briefly here and I will draw three winners by random at the end of April! Good Luck and thanks to Jo and Mica for a lovely prize! Well done Jacqui Galloway (14), Nessa (19) and Marylin F (24) who were random drawn as winners for this giveaway. Thanks to everyone who shared their wide and varied wool tribes with us. Lovely idea, after a fab EYF. My wool tribe is spread across Ravelry, mostly in the Tour of British Fleece group. We worked together over the winter, experimenting with prepping and spinning native breed fleeces from the Scottish Highlands & Islands, recording our results in the group’s threads. 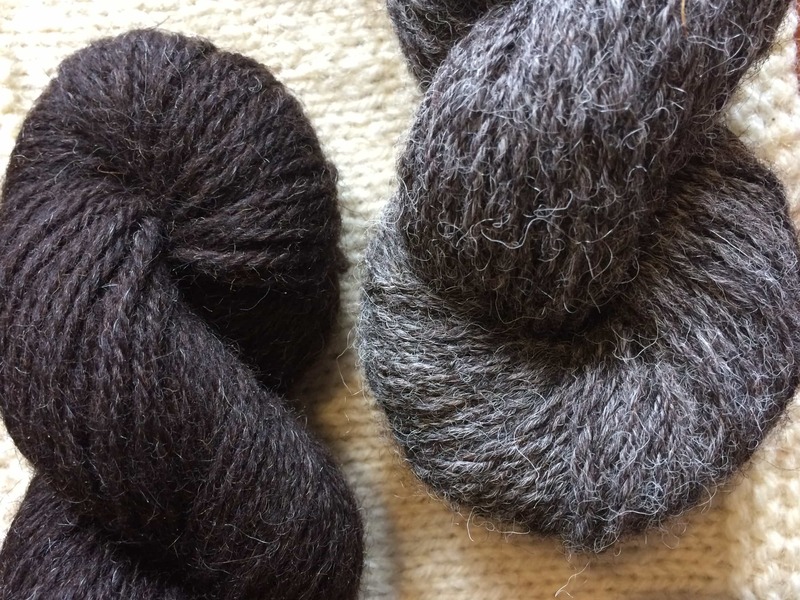 Several members put in remarkable amounts of excellent work, making handspun yarns, knitting samples and preparing information boards for the various breeds. It was great to finally meet some of them at EYF and help on the stall, especially as there are few spinners in my area or anywhere near. It was a really special day, and we were so busy talking about the wools and spindle-spinning that there was no time to go and buy a Wool Tribe booklet, and I would really love one! My own Wool Tribe meets twice a month at the local church. When this venue is not available to us we invade Debenhams cafe, which is very nearby. 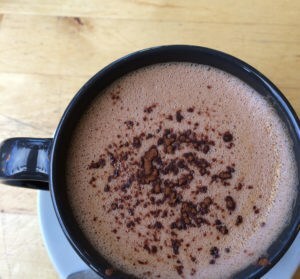 This usually creates a small ripple of interest as people eye us curiously over the rims of their coffee cups. We are a diverse bunch, and two of us also belong to a weavers spinners and dyers group. 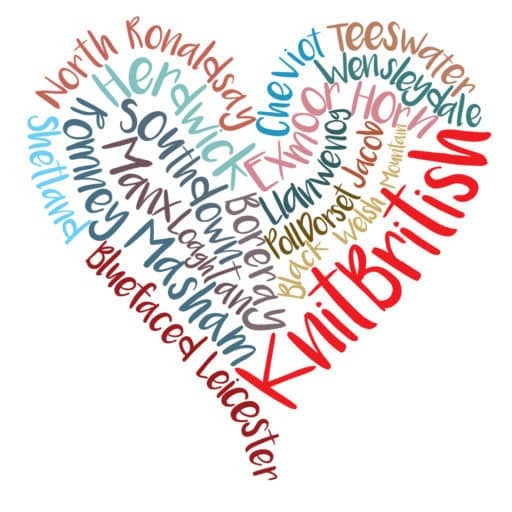 My wool tribe is partly on Revelry where I enjoy the company of knitters from all over the world, and partly in my family/local area where I also try to spread the joy of knitting. I feel my wool tribe is through my local guild and on forums through Ravelry. Its lovely to be part of a tribe who appreciates all things wooly! My wool tribe meets twice a month in a local and it is such a happy thing to have in my life. It’s a place I feel comfortable, safe, accepted and loved and those feelings are reflected a hundredfold. It’s a group full of knowledge, mischief and enabling and so much laughter it makes me smile just thinking of it. I never thought of myself as the kind of person who finds comfort in a tribe, but I did when a lady at our knitting group in Blackpool referred to us as just that. The group meets at Blackpool Women’s Centre and is open to anyone in the area who wants to come and join. Because we’re attached to the Centre a lot of members come and join us. I started the group when I worked in the NHS in drug and alcohol services and have kept it going on a voluntary basis since leaving and going freelance. We have great group of women who’ve had the kind of life experiences that have made them one of the strongest, funniest, most resourceful and resilient group of women I know. They’ve drawn on their own experiences of homelessness, drug and alcohol addiction and caring for those with addictions and domestic violence among other things to support each other through a range of challenges, illnesses and bereavements. What brings us together is our knitting, with a bit of crochet on the side, what keeps us together is the remarkable support and confidence building we find in sharing bits of ourselves through our knitting. Knitting allowed me to meet so many interesting and lovely people that I would never get the chance to know otherwise. I belong or belonged “in person” to several local wool tribes as my life has kept on the move since I started knitting along with other people, but I managed to keep in touch via that fantastic wool tribe creating tool that is the internet. I attend a knitting group weekly and that led me to Ravelry and spinning and really changed the way I spend my free time. My tribe began when I started a knitting and crochet group at work. It ran for 2 years, meeting every week. We made lots of different things individually throughout the year and also made a co-ordinated effort for small items for the annual staff market in November which raised money for charity. We had lots of fun. Unfortunately with all the cuts in local government we have been forced to disband as members have retired, been made redundant and had to transfer out to private companies. We are still in touch and meet occasionally but we all miss our regular chats and crafting sessions. How lovely! My wool tribe meets once a week in our local library which is not only fun for us but gives the library a small donation for the room we use. I also participate in online groups and Ravelry. My wool tribe consists of my dear friend who let me stay with her for a month and taught me to knit in the process. And my lovely partner who travels all over the world and buys me wool wherever he goes, even though yarn shops are really not his idea of fun. And all those on Ravelry and knitting blogs who keep introducing me to wonderful designers and interesting books! My wool tribe is found through following blogs and podcasts like your own. I’ve also met lots of lovely like-minded people through teaching crochet and rag rugging. Some of whom have become firm friends and we swap wool and funny stories! I meet most Saturdays at my LYS for a sit and knit and not since reading your post would I think of the term tribe which made me think of connections made on Raverly and Facebook. I would also have to say that the wonderful ladies on the Winwick Mum Knit n Natter Group on FB are the most awesomeness wool tribe to be a part of. I only have one friend that knits and we have fun yarn shopping together and talking about our knitting. I have a knitting blog where I connect with people online. I am fortunate to have a good LYS that hosts a knit night weekly. I enjoy it and go regularly but also have Ravelry friends with whom I correspond and sometimes Skype about knitting. I do KAL ‘s several times a year as well which are great fun, especially the hap KAL last fall. Apart from the joy I get from being a part of Ravelry, there are some seriously good knitters out there! I would like to think that my Wooltribe is the knitting group I go to every Wednesday, there are about 10 of us, all ages, abilities and we even have a couple of chaps who come along! I think I am right in saying that we all enjoy meeting up, we must do we have been doing this for a quite a few years now, we have an annual Christmas dinner, secret Santa celebrate each other’s birthdays and generally look out for each other, we have all become good friends. We do occasionally knit, sometimes crochet some have even spun and brought other needle crafts with them, we help each other out, and egg each other on about the size of our stash! It may seem that I have ‘waxed lyrical’ about this group but it is fair to say that I get a lot out of it, we all do. My wool tribes are interlinked. I am a member of an online competitive fibre crafting group on Ravelry. Though EYF last year I met two members of this group face to face, we have since met up for Indieburgh Yarn Crawl and random knitting dinners. Recently we have invaded the Town Mouse Knitting Group which is my other wool tribe. As someone who brought a copy of Wool Tribe on release day and knowing my two mousecateers have their own copies I would send the copy I win to one of my other online competition friends. Spread the Edinburgh Knitterly love around the world. I started to crochet after joining a craft club at my work. We meet once a week over lunch. It is a really great place to chat about what we are making and everyone is so helpful and keen to learn from one-another. Exactly a year later I picked up knitting as I couldnt help but admire everyone elses talents and wanted to give it a try myself. I am now one year in to my knitting journey and have never looked back! I love my craft club tribe! My Wool Tribe is my family – my mum and 2 sisters. I love to buy and give them yarny gifts at Christmas and Mothers Day. We can’t get together very often as we are separated geographically (North Shields to Hampshire! ), but I love to talk things over with my mum especially. My real life wool tribe is quite small, reduced from a weekly meeting group that I started a number of years ago but that is now sadly rarely active due to the busy lives of its members…I have my few peeps, local and distant that I more regularly commune with on all things woolly. I also feel like my tribe spans the generations; even though the grandmother who taught me isn’t actually here anymore, I feel her presence and I am passing on the skills to my own daughter. I get a lot out of rav and podcasts like your own, too–so, thank you! My tribe is a spinning/knitting group that was started as a result of my spinning students wanting to meet monthly to spin and share information. We are now approaching 35 years of meetings and still going strong. Classes started them out with raw wool, washing, hand carding, and spindle spinning. It is great to know the basics of processing wool and selecting fleece for specific projects. So participating with a group that knows sheep/wool from the ground up is very comforting. Wool is the best fiber of all to work with. I grew up hearing that sheep would give you everything you needed; food, clothing, and fertilizer. What fun to read everyone’s stories here. Thanks for the interesting subject to write about. My knitting tribe is online: Ravelry and numerous blogs. I am very fortunate to have this connection, because I live in a rural part of New England and have not been very mobile for the past few years. At times I have to drop back from actual knitting, but I continue to learn so much just by following threads on my rav groups or catching up on blogs. My wool tribe consists of my sister, my friend and the Ravelry groups that I love to learn from. My sister and I had such a fantastic weekend at Edinburgh Yarn Festival; she flew up from Bristol for only the second visit in thirty years since we moved to Scotland. What a lovely reunion, getting lots of woolly ideas. My recent favourite knit is a Mini Manu for my granddaughter in pomegranate Wensleydale long wool purchased from you. It looks lovely on her and has been a great success. My wool tribe is a many-layered one. Past – Those who have taken the time to teach me, including family, friends and kindly professionals. 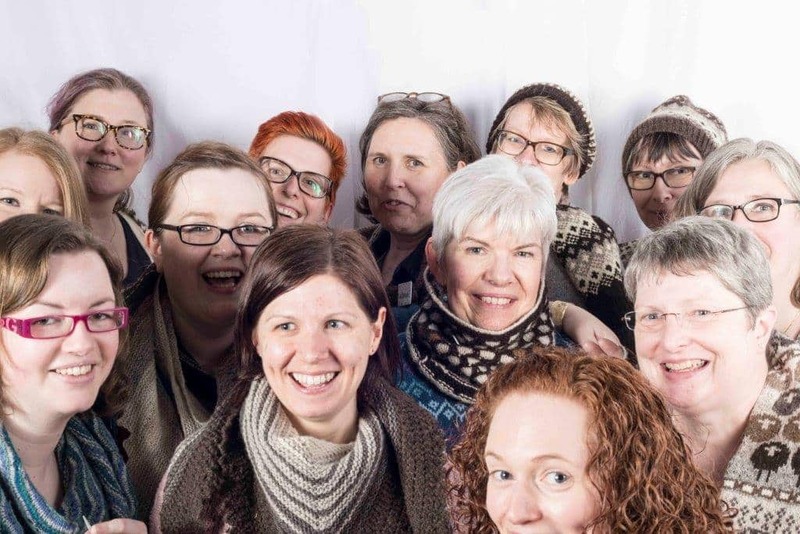 Present – My virtual tribe on Ravelry that spans my membership in (oh my goodness!) 93 groups, through which I have found new yarns and petterns, learned to spin, discovered podcasts. Future – A local knitting guild whose meeting I will attend for the first time on this very Saturday! How wonderful to have an opportunity to expand my tribe with a vicarious visit to EYF! I think my favorite tribe is the Knit British one. I have had so much fun with the Natural Shades KAL and loved seeing and learning from every one’s creations, not to mention the introductions to exciting wool sources. My tribe consist mostly of Ravelry and blogs like this one, thanks to you for the giveaway. I don’t think I have a traditional wool tribe, but I wish I did! At the moment I am limited to watching knitting Podcasts and coasting Raverly, and these wonderful people make me so much happier and knowledgeable without even knowing who I am! Their passion and dedication is amazing and so much appreciated. I hope one day to be able to set up a local knit and crochet group as we do not have one in our tiny village or the surrounding areas. Until then I will continue looking forward to watching my online wool tribe! My tribe is a small group that meets at our LYS in a beautiful spot by the sea. The owner produces some lovely yarn from her own alpacas. So far my sister and daughter are my knitting tribe ???? I do teach primary kids to knit so I could call them my tribe too. I’m also in the process of joining the Grampian Knitting Spinning and Dying Guild so my tribe is actually growing quite a bit ???? I belong to not 1 wool tribe but 4! I belong to 2 weekly knitting groups where I’ve made many new friends,socialising outside the group – including weekends away!. I also belong to a monthly knitting group that is part of the U3A. A well as our own knitting we often have a charity project where we all contribute. I also belong to the WI, who regularly have Knit and Natter nights, again usually for Charity projects. My wool tribe is the people I ‘meet’ on Ravelry and on Twitter. The ones who “get it” and understand the excitement of woolly and yarny pursuits. Actually I’m a lone wolf. I like to knit alone, in the park, at the beach, whenever I can. I love to watch a movie while I knit and my dog is usually my lovely company! I’m teaching my granddaughter to knit so she is, at the moment, my favorite company. Through Ravelry I found my bestie knitting tribe friend – I was v brave and saw we both lived in the same city & seemed to like knitting similar projects.So I sent her a PM and we arranged to meet for coffee and it was so funny as we literally live around the corner from each other but had never seen each other before. Gorgeous pictures. My local Guild of Weavers, Spinners & Dyers is a big part of my wool tribe, plus friends in-person & online. I do a lot of knitting while commuting & often talk to people about knitting (both knitters & non-knitters) so they feel like a part of my wool tribe too. My wool tribes is mainly friends that I met online on a parenthood community when my son was born. This has among other things evolved into the “wool-travelling-club” that took us to Shetland wool week last year. But the first tribe, my mother and grandmother is still fundamental. I have 4 tribes. The first is a weekly group that meets up locally and we are a varied bunch of knitters and crocheters. Some of us met up at EYF, and we go along to other shows, workshops, and the Indie Burgh yarn crawl together. My second tribe is a very friendly and sociable Ravelry group I am a member of. We are spread around the world and some of us meet up in person when we can too. My third is my family. My mum, sister, both nieces, and daughter-in-law all craft and family get togethers will often see us grouped together crafting and chatting. My fourth is a group at work started just a year ago at lunchtime once a week at least and sometimes more often when we need to escape for an hour or so. My wool tribe is sort of in two parts; my family based wool tribe consisting of my Nan, who taught me to knit & still gives me great advice aged 89, my Mum who does the most beautiful crochet & spends ages chatting with me about our respective WIPs, my mother-in-law whom I taught to knit & is now super-keen and my step-mother-in-law who took knitting up again after a 20 yr break having seen me enjoying it. Then there is my online wool tribe based on the podcasts, blogs & ravelry groups I keep up with, often quietly but I’m there in the back nonetheless. I’m very grateful for everyone who shares their creativity in this way, it such a pleasure to know their are others who share the same passions out there in the world even if I’ve never met them. My Mom would have to be my wool tribe, I’ve mostly learned as I go with knitting and spinning but she got me started on both, and the weaving class I took in college in turn ended up with her weaving blankets and rugs on her own loom nearly 20 years later! She is definitely the one I discuss my fibre projects with most. Thank you for sharing EYF with those of us unable to attend! It’s so good to see the photos of others who obviously love sheep and all things wooly. Alas, I have not yet found a local tribe, but instead follow a growing number of blogs and podcasts. You have a wonderful gift of warmly welcoming us in as if we’re right there in the room. Thank you for bringing all of us together through our love of the craft. I hope you enjoy it as much as we do! I taught myself to Crochet using you tube videos! My wool tribe is definitely my knitting group. I don’t go as regularly as I would like but whenever I do manage to show up I always have an absolutely fabulous time. My wool tribe is my knitting group. They are the best: we’re all different ages, religions, occupations, stages of life, etc. but we all love each other and we all love to knit. We meet over coffee every other week — whatever combination of us can make it on any given day — but when we’re back together again, it’s like we’ve never been away. They are definitely my knitting tribe and my tribe in many other respects as well. I’m lucky enough to be part of more than one tribe. A couple of my co-workers and I meet one lunchtime a week and call ourselves Knit, Purl and Drop one, not sure which one I am! Then there’s my monthly bobbin lace group though looking around the room you could be forgiven for thinking you’d walked into a knitting group by mistake as there are far more of us clacking knitting needles than making lace. And finally the knitting group I co-run at work, we are spread across several sites and don’t often get the chance to meet up in person but we’re united by our focus on charity knitting and connect via emails and the company forum. My wool tribe has got to be the wonderful Town Mouse Knitting group. Being part of this group for 2 years has really opened my eyes to so many beautiful patterns and yarns. I’m definitely glad that they push me out of my knitting comfort zone and inspire me to learn new techniques. I have a few friends that knit and occasionally go to stitch night at my LYS, but wouldn’t say it’s a closely enough knit group to be called a tribe. I’ve been dying for a copy of Wool Tribe! THIS IS NOW CLOSED. PLEASE DO NOT ENTER. WINNER’S REVEALED ON NEXT PODCAST.